Optimize all inventory management and restock operations by creating multiple warehouses, assigning them to any number of store views, and building product-supplier connections. 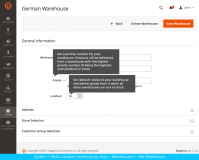 Multi Warehouse Inventory extension enables you to overcome the default Magento limitations concerning its inability to create multiple warehouses and assign products to suppliers. This is the most advanced and flexible inventory management solution on the market - it lets you manage restock operations effectively based on the most relevant information about inventory at each of your warehouses. 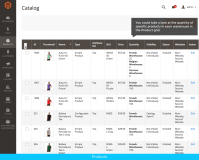 Monitor all the low-stock products in a special grid. When their quantity reaches a critical minimum level (par level), they are automatically added there. Ordering from your suppliers is a part of your everyday routine? Good news! You don't have to get endless lists together by hand anymore. When you are running low on stock, give your suppliers quick heads-up, sending emails to them right from the Magento admin panel. 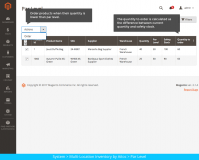 Also, the Multi-Location Inventory functionality can be integrated into the order processing software of your suppliers. It will allow you to place orders right in their system, saving time and efforts of both sides (requires custom integration). The extension is also available for Magento 1.x.x. The solution features an intuitive interface for creating as many warehouses as needed. All store’s warehouses and suppliers will be displayed on a single grid, allowing administrators to manage each facility individually, yet have quick access to the rest of the group. Inventory replenishment is a mission-critical task for merchants to tackle. With the help of the extension, they can split up products in stock between different warehouses and track their availability in real-time. The solution monitors safety stock levels and sends out automated notifications to suppliers when a product starts to run low, eliminating the risk of a stockout and keeping the inventory at the optimal level. 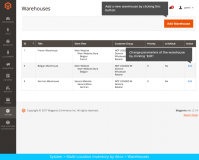 The module provides for an ability to set specific warehouse selection rules based on the criteria like location. This completely automates the process of choosing the facility that an order will be shipped from, speeding up the delivery and so shortening the overall order fulfillment cycle time. Create an unlimited number of warehouses. Divide stock by store view and/or customer group. Automate warehouse selection based on pre-entered rules. Automate low-stock email notifications to warehouse managers. Create an unlimited number of suppliers*. 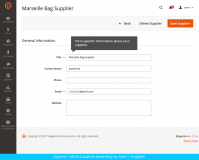 Assign each product to a particular supplier. 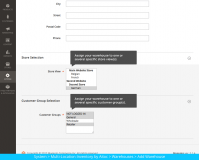 Make an order request from a particular warehouse to a specific supplier. 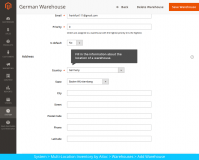 Automate sending emails to a supplier and a warehouse manager (if necessary). Make up comprehensive emails with product lists, order quantity and details of counterparts (names of a supplier and a warehouse). Easily integrate with the supplier order processing software (requires custom development). Set up Par Level** per SKU by warehouse. Set Safety Stock*** per SKU by warehouse. Automatically notify warehouse managers when an SKU goes below the chosen Par Level. 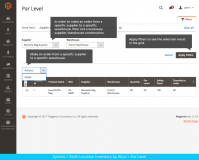 Use the Par Level grid to easily identify SKUs that need to be restocked (the ones that outreached par level and/or those that are just approaching it). 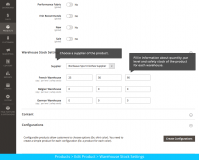 Order quantity is automatically calculated as the difference between safety stock and the current amount. *Supplier is a company that sells goods to you and fills up your warehouse stock. **Par level is a critical product quantity indicating a high probability of stockout in the nearest future. ***Safety stock is a product quantity which is needed to maintain store operations stable for a certain period of time without having stockout issues. 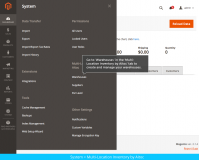 Save your time and efforts by automating restock operations with Multi-Location Inventory for Magento 2. 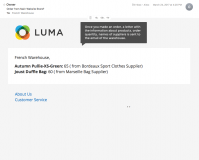 Simple email notification system will help you prevent stockout emergencies and always keep your customers satisfied. Magento 2 Notification Messages extension - Enable web push messages to share current deals with site visitors, encourage them to sign in, notify buyers about an order placement or bring back the customers who just left the website. Magento 2 User Permissions plugin - Assign specific access rules for different admins and restrict access to certain store areas to ensure only authorized staff members can use the admin panel. Magento 2 Custom Shipping Box module - Optimize your packaging and shipping process. Automatically calculate the total weight and dimensions of ordered goods to pack them in boxes in the most cost-saving manner. Magento 2 Two Factor Authentication extension - Enhance the security of your store by enabling a second authentication step. Generate one-time passwords automatically and create a whitelist of IPs. Magento 2 Checkout Field Validation module - Tailor the standard checkout page to your requirements by managing its fields. 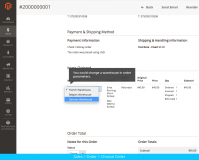 Create custom checkout fields and add them to your form to collect actionable information from your buyers. + Added compatibility with Magento CE 2.1.6. + The extension is launched for Magento 2.1.0-2.1.5. I liked the extension, although it was challenging to set up everything at the start. User Manual does not cover all questions that I had so I contacted Atioc for help. They were quick to help me out which is a proper way of running business. Overall a solid extension for those who need to split their stock into warehouses. I was long looking for an ext that allows me split stock between customer groups. finally found it, so neat! so convenient i am able to monitor my stock levels and process orders based on the rules I set. some warehouses serve only specific store so it’s essential for me to split the merch. i automated emails to suppliers so no out of stock anymore. thanks aitoc! Great extension and great support team, they are very professional and honest. Make customers fall in love with your store thanks to helpful and trustworthy reviews. Send automatic review requests. Return shoppers to the store and give them a small discount to finish their order. 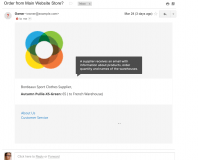 Customize emails to align them with your brand image.